Every year we have a blog post about the Fourth of July in Coeur d’Alene because it’s such a great way to experience this beautiful place. We highly encourage you to see the fireworks from the deck of a boat on the Lake. However, if you’d like to be in Downtown CDA for the day, there’s a lot for you to see and do. The day starts out with the Independence Day Parade, which starts at 10:00 AM in downtown Coeur d’Alene on Sherman Avenue. Enjoy a fun family-friendly event brought to you by the Coeur d’Alene Chamber of Commerce. 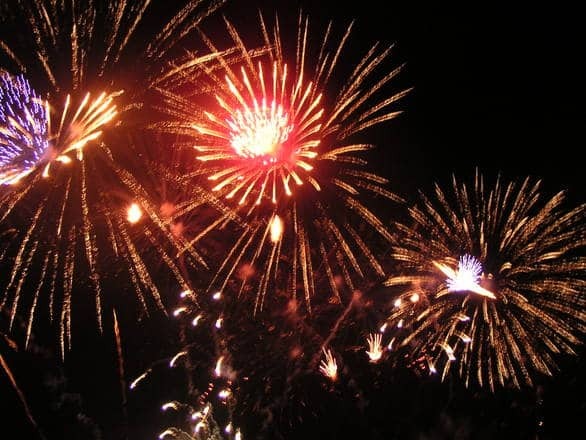 To finish off the day of celebration, stick around for North Idaho’s largest fireworks display. This show happens over Lake Coeur d’Alene and can be seen for miles along the lake shore. All of this is brought to you by the Coeur d’Alene Chamber of Commerce. You can find more details on their site here.